Steven wanted to make sure that everyone knew that he helped with this project. So, Official desk credit: Steven designed the desk. He also helped with the assembly of all of the pieces, held lumber for me, and allowed me to blame him for virtually all hurdles encountered throughout the project. The "legs" of one of the desks, with one layer of stain on them. 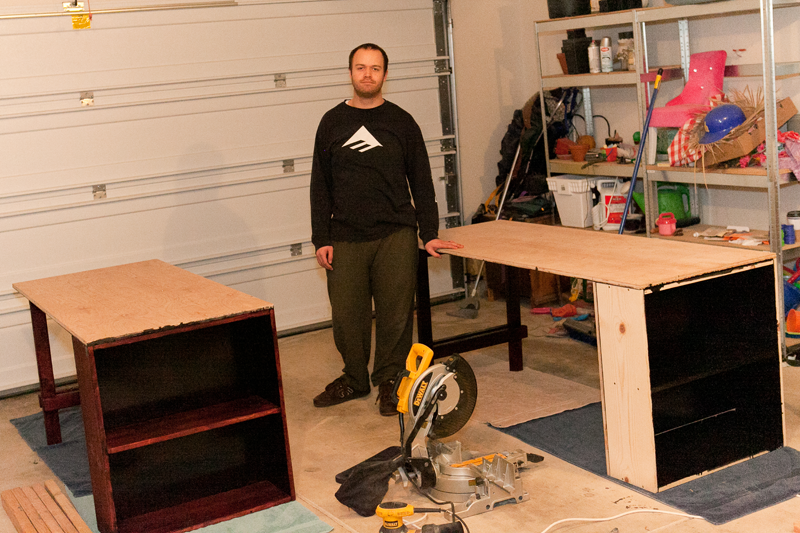 Me, staining the bottoms of the desk and shelves. 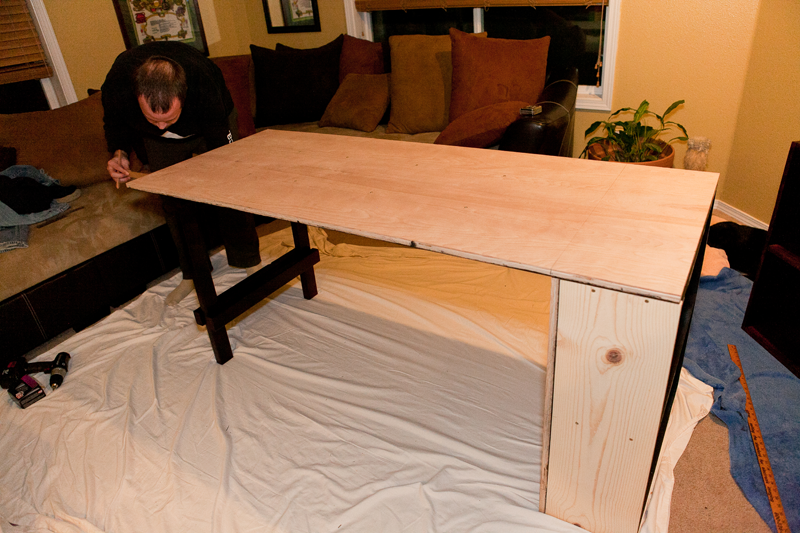 Attaching the desktops to the legs. Construction complete. Many layers of staining required. Thank you to Steven for taking this incredibly flattering photo of me. I sat down to pet the cats after a long day of manual labor...and promptly fell asleep. Office Remodel: Before, After, and "What We Were Going For"